Alex has already been established as a character in earlier PM Plus books. 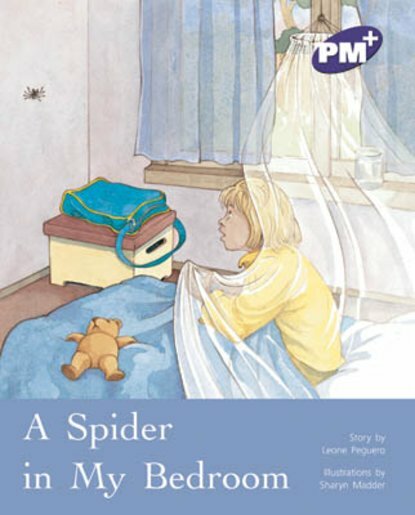 In this story, she struggles to overcome her fear of spiders. Children who are frightened of spiders and other small living things will understand Alex’s dilemma. Purple level titles introduce a variety of topics to promote reading for pleasure and offer plenty of opportunities to look at rhyme and rhythm within words to build fluency and phrasing.